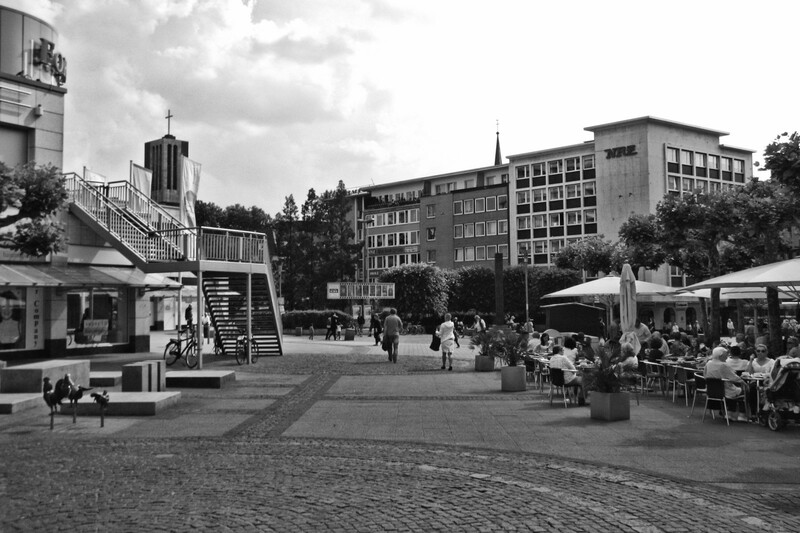 This is the east end of Mülheim’s inner city pedestrian zone, the Kurt-Schumacher-Platz – or, as everybody calls it, the Pflasterstrand, which literally means Cobble Beach. You can see why the area got its name in this photo – underneath here runs the tunnel from the Eppinghofer Strasse. In the far left you can see part of the tower of the shopping mall entrance and behind the houses both towers of the churches are visible. If you go ahead and to the right, you end up on the Schloßstraße pedestrian zone, to the left is the shopping mall and ahead and down is the Kaiserplatz. 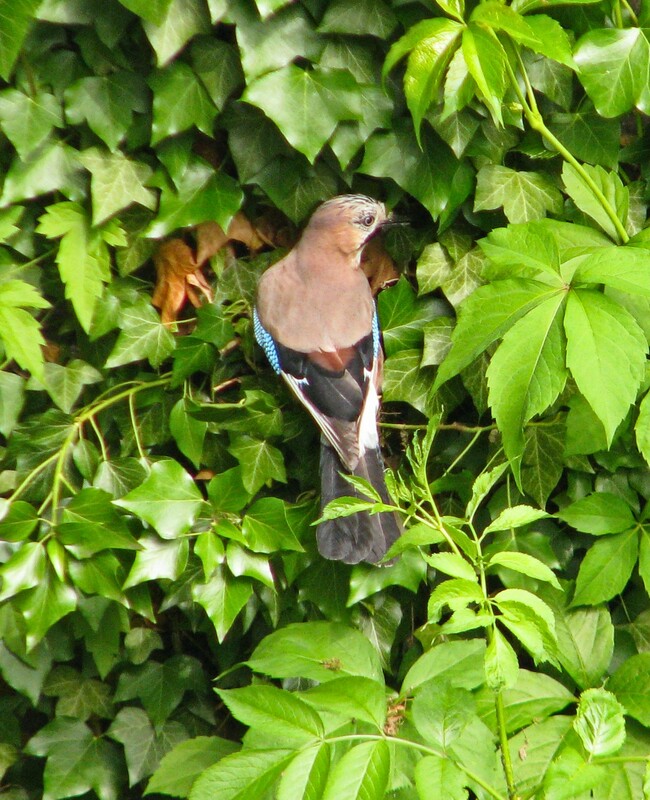 The briefly visiting Eurasian Jay showing off his back plumage colours. 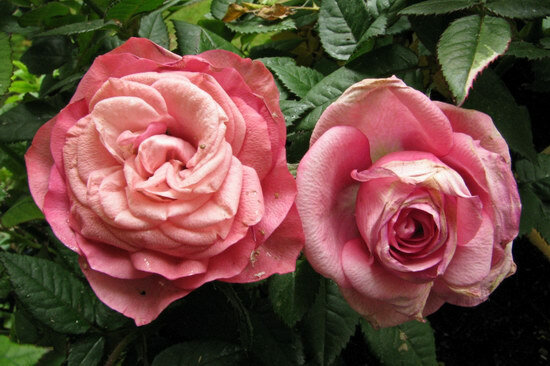 And once more the now slightly aged pink rose duo. 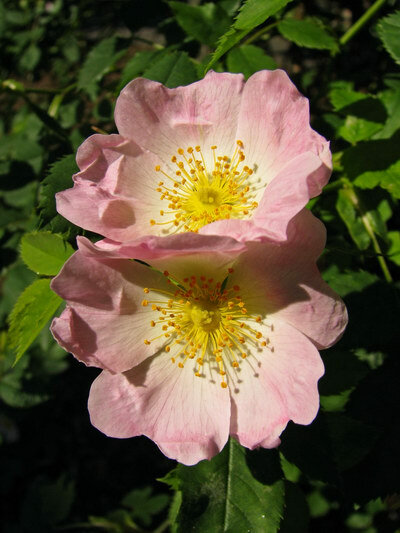 Vertical Dog Rose duet :-). 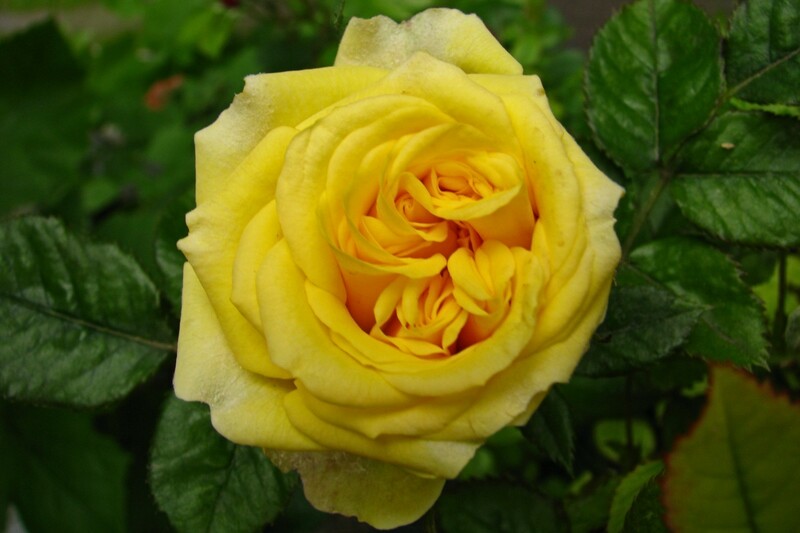 The Yellow Roses still look irresistible.